Staples Center, Los Angeles - After a career spent at super middleweight, and five successful title defenses, Gilberto “Zurdo” Ramirez (40-0, 26 KOs) made a statement-making light heavyweight debut, stopping former world title challenger Tommy Karpency (29-7-1, 18 KOs) in four rounds. 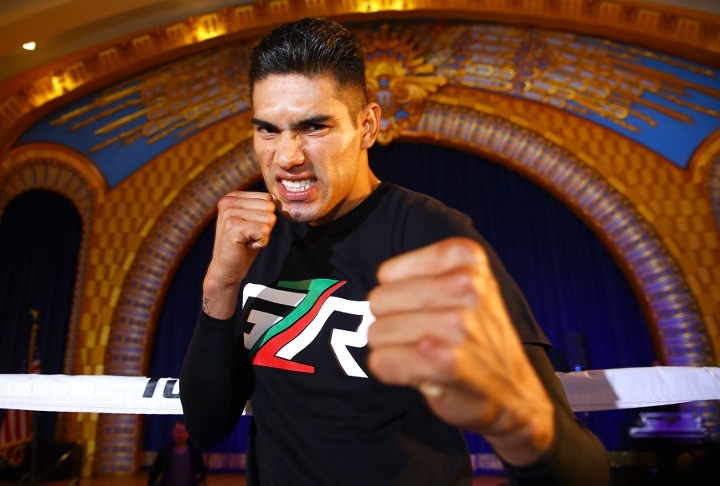 "I feel more comfortable at 175 pounds than 168,” Ramirez said. “I'm looking for all the champions at 175. I want to be a pound-for-pound fighter. "I struggled making 168 for a very long time. We'll see what's next, but my body felt great at 175. My new head trainer, Julian Chua, did an excellent job preparing me for this fight. Karpency was a tough guy." "I believe this was my strongest performance to date, and I'm only going to get better and better," Vianello said. "My power is improving with every fight." Let me guess. He'll fight some nobody for a "regular" or "interim" belt so he can call himself a two weight "world champion", then spend the next two years defending it against bums.